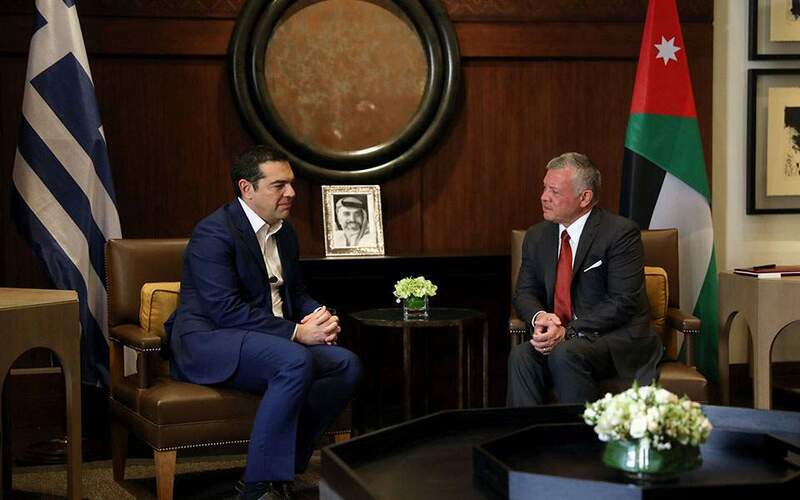 Prime Minister Alexis Tsipras arrived at the royal palace in Amman, where he was welcomed by King Abdullah, Jordan, shortly before noon. Tsipras is attending the Second Cyprus-Greece-Jordan summit. Cyprus President Nicos Anastasiades will also attend. The three countries’ foreign ministers met earlier Sunday. Foreign Minister George Katrougalos, Deputy Economiy and Development Minister Stathis Yiannakidis and Deputy Digital Policy Minister Lefteris Kretsos accompany Tsipras at the summit.